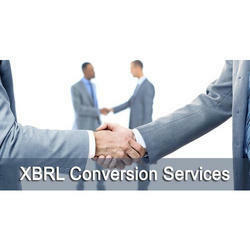 Our Firm has been selected for XBRL Conversion Services by Ministry of Corporate Affairs (MCA) in the first list of eight Service Providers entities published in October 2011. We have the honour to become first Chartered Accountants Firm in India which has been listed by MCA to provide XBRL conversion services. 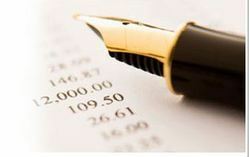 We are offering XBRL Filing services to our customers. We transform your business reporting data into a smart and accurate data set with our exceptional XBRL conversion services. We are a unique entity in the industry, actively committed towards offering supreme quality Data Conversion Service. This service is widely acknowledged by our esteemed clients owing to its promptness, flawlessness and reliability. Our professionals are skilled in converting the required data in a desired format for analysis. XBRL (eXtensible Business Reporting Language) is a freely available and global standard for exchanging business information. Over 30 regulators across the globe, including the US Securities & Exchange Commission (SEC), have mandated XBRL as the required electronic reporting format. We have an exclusive range of Data Conversion Service offering to our clients. Data conversion activity is the backbone of BPOs and owing to latest technological development, we can churn bulk volumes of data in shortest time frame.